Carbon black was used as a pigment since very earliest times. Carbon blacks are made by heating wood, or other plant material, with a very restricted air supply. 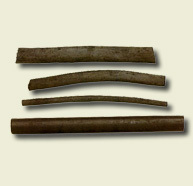 Sticks of charcoal have been used for sketching by artists of all periods, and traces of their work may be found on the ground layer of paintings. 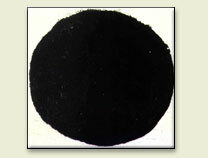 Carbon black was used both in oil and watercolour. Carbon black is used today in photocopier and laser printer toner.Carbon black is easy to prepare and has excellent hiding power. Word origin: The name "Carbon black" comes from Latin carbo = charcoal. 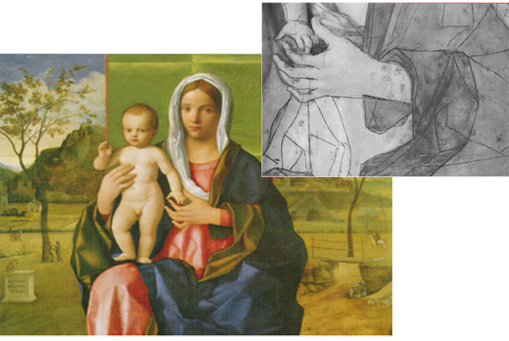 Since carbon absorbs light so well, it appears dark with infrared reflectography imaging, revealing artists' sketch under the painting.